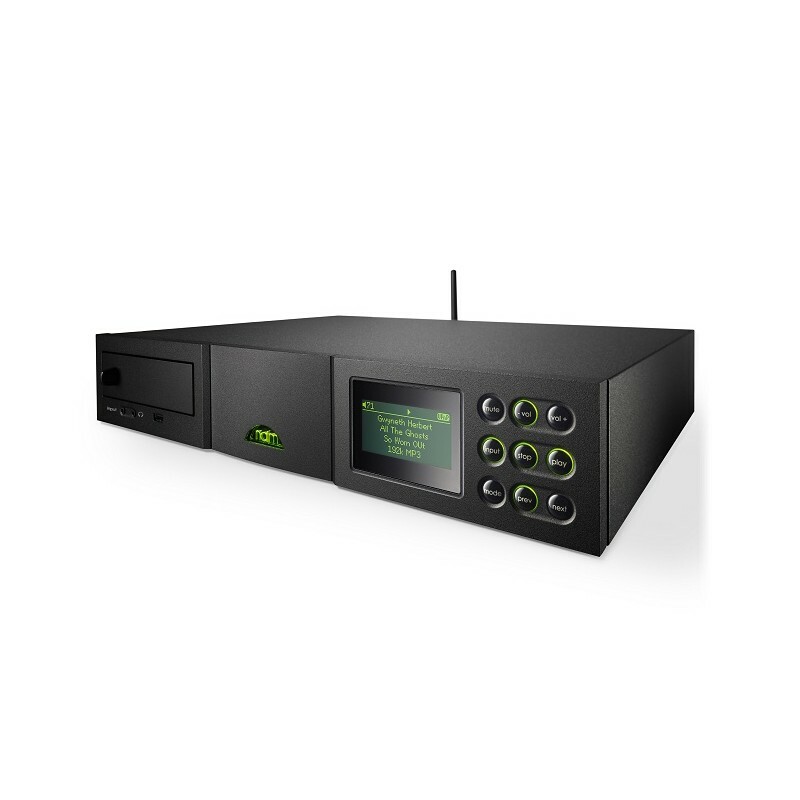 The Naim Uniti 2 is a different variant to the first Uniti. The CD player has been revamped: different mechanical parts and different clamp. The amplifier has been boosted from 50 W to 70 W, hence making it compatible with many speaker models. 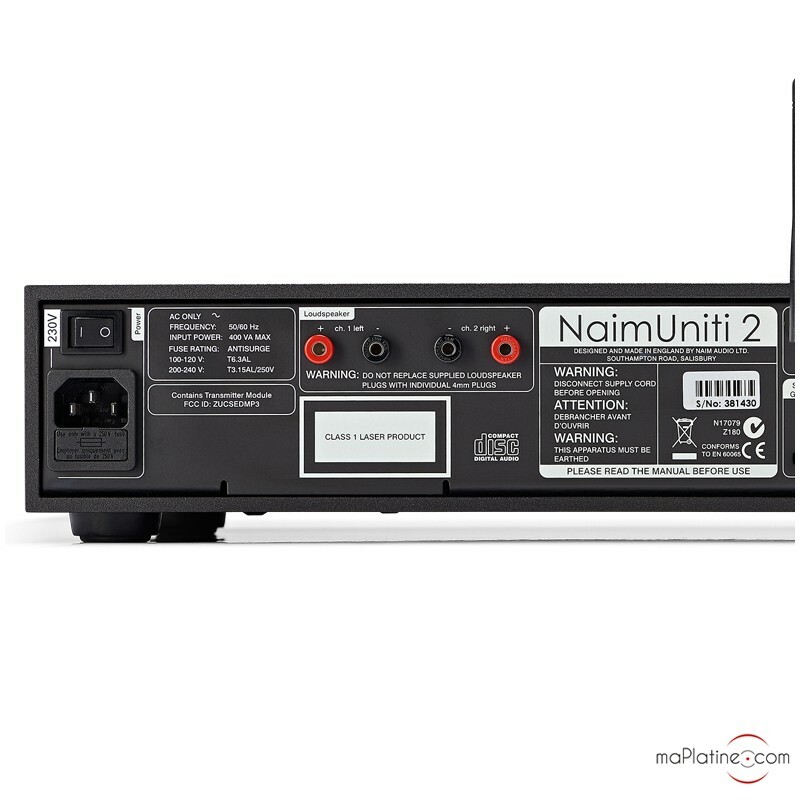 The Naim Uniti 2 is more powerful (70 W for Naim Audio Uniti 2 against 50 W for UnitiLite) and has more analogue inputs than the UnitiLite Naim (4 analogue inputs Uniti 2 against 2 for Unitilite) and the CD player is more precise than the UnitiLite's. It is also a network player that can play MP3, Windows Media, AAC, Apple Lossless (from an iPod), Flac and WAV audio files. It connects to the network and automatically finds shared files on the UPnP servers on the front-mounted display. 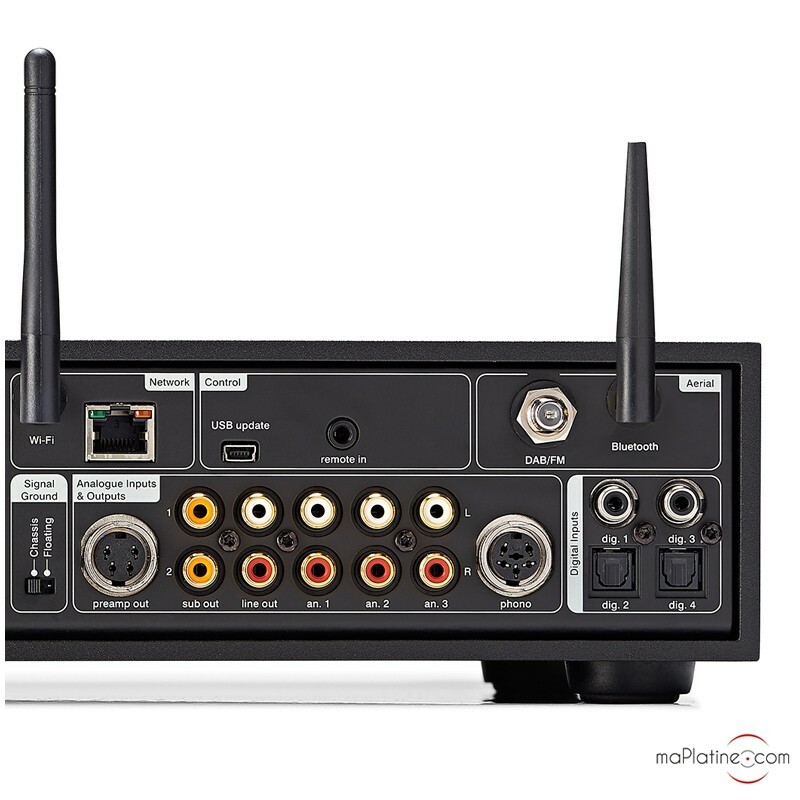 Thanks to its internal digital-to-analogue converter and 24 Bits/192 kHz S/PDIF inputs, you can connect five digital sources (e.g. TV, video game console, etc. ), hence dramatically improving the sound. Naturally, the analogue audio connectors are also on-board, with five analogue inputs available. 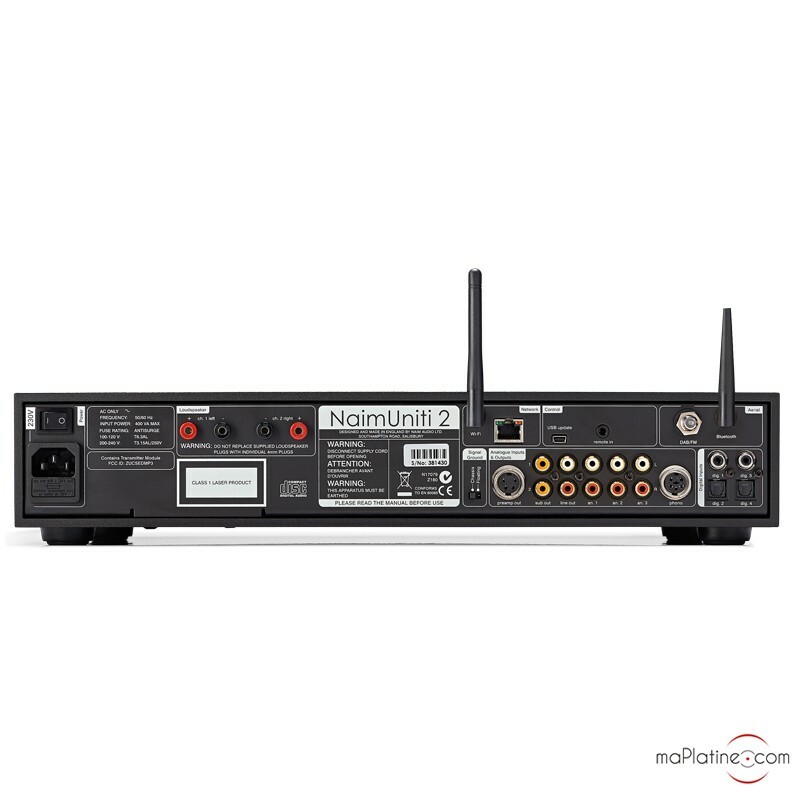 A Din output is also available for a power amplifier and a RCA output for a subwoofer. The front panel features a 3.5 mm jack headphone input and a 3.5 mm digital/analogue jack input. The user has three options to control the Naim Uniti. A remote control (delivered with the system), nine front-mounted buttons and an Apple application available from the App Store (nStream) allow access to the menu. 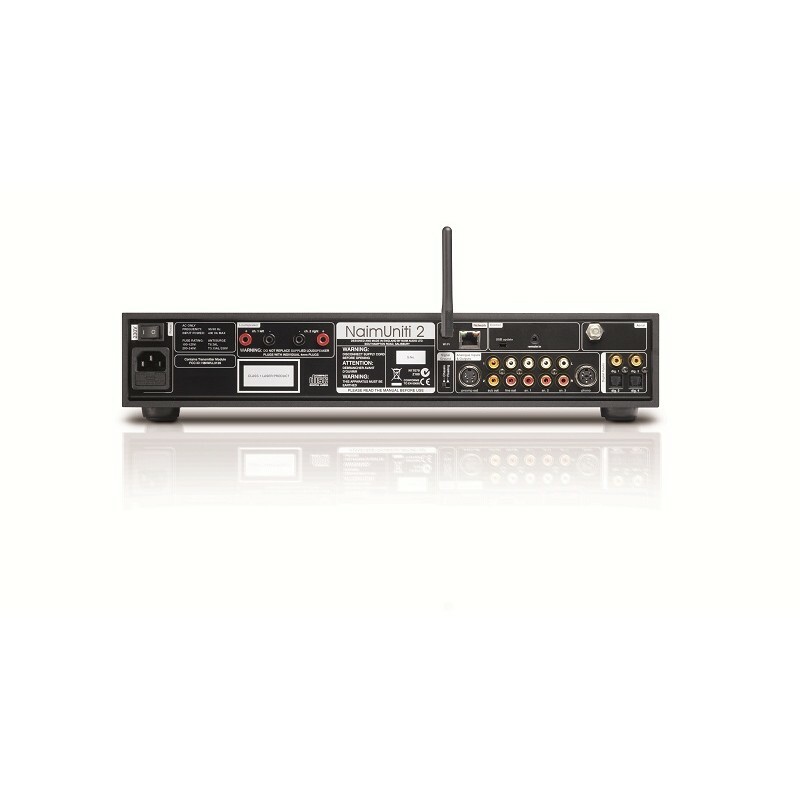 The multi-mode radio combines an FM/DAB tuner and an internet radio (iRadio). It has an USB/iPod interface connector on the front panel to play audio files stored on an iPod or a USB stick. All 5th generation iPods and later versions and all iPod Touch models are compatible with the Naim Uniti 2 USB interface. When paired with a pair of speakers, this all-in-one is simply striking. 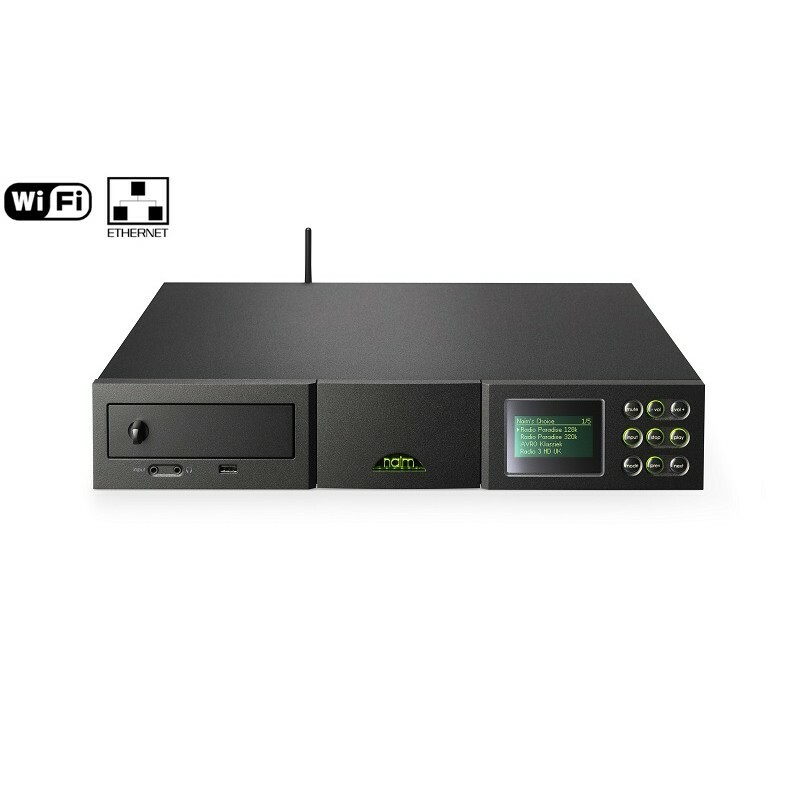 It has Naim's typical build quality and sound, vibrant and precise. 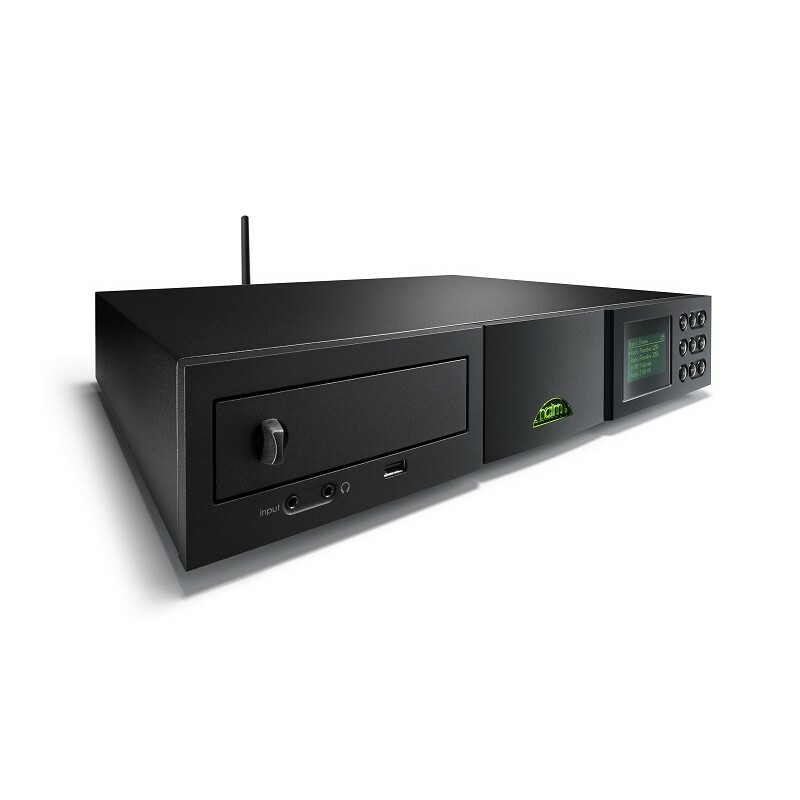 Its abilities alone are impressive, but it has to be stressed that the Naim Uniti 2 can also become the core of a system that can accommodate up to 5 digital sources (2 x optical; 2 x coaxial and 1 x 3.5 mm optical jack) and 5 analogue sources (3 x RCA stereo; a 3.5 mm jack, a Din powered for a Naim phono stage) and thus amplify all these sources for the pleasure of listeners. Analogue inputs: 3.5mm jack; 3 x RCA; 1 x DIN for Naim phono stage. Supported audio formats: Playlist (M3U, PLS), MP3, AAC (up to 320 kBits/s, CBR/VBR), Apple Lossless (via an iPod), files in Windows Media 9 format (up to 320 kbits/s), WAV and FLAC (up to 24 bits/96kHz) via USB and UPnPTM, Ogg Vorbis.